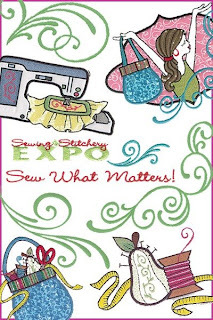 If you find yourself near Puyallup on February 26, 27, 28 or March 1st, make sure you drop on by to the Sewing and Stitchery Expo 2009! With over 200 exhibitors, this is surely an amazing event! Rob & Corinne from the Thread Bangers will be holding free presentations in the Showplex and don't miss their Sunday only event RECYCLE RAMA in the Centennial Tent! For more information about the event, please visit their website. That's right! It is swag bag time once again! The first 30 people through the doors at Got Craft? 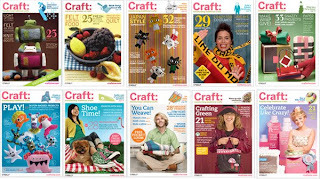 receive a free handmade swag bag. Our very first two events had paper bags and then we decided to hand make the bags for the next event. This is year 2 and the third set that we have made. 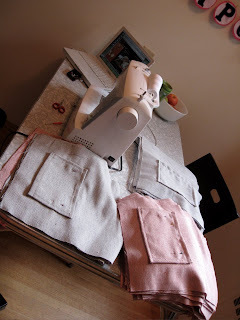 Going from people who have never sewn before to making 120 bags (by the time I finish these)... I think we have come a long way! With a jam packed Summer and Fall season, I decided that I better make both sets of bags now rather than start panicking later. This year, the bags will be made out of thrift store fabrics, clearance fabrics from Dressew and unused fabric from my own stash. Its quite electic. 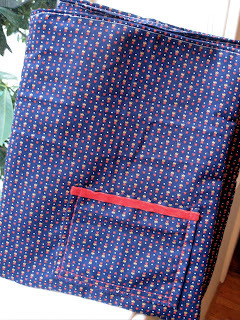 So far, all the pockets have been put together and sewn onto the front of the bags. I finished trimming them and pinning them together on Friday and they are just sitting in pleasant piles waiting to be sewn together. Has anybody watched Lost? I am on season 2. It is keeping me entertained while I sew. Like the banner? I figured it was time for a new look!